Warm up by the firepits at Goodfella’s Pizzeria. Tucked away on the banks of the Town Branch Creek, you’ll stumble onto a historic 25-acre property, known as the Distillery District. Formerly an abandoned distillery site, in recent years it’s been brought back to life, bigger and better than before. 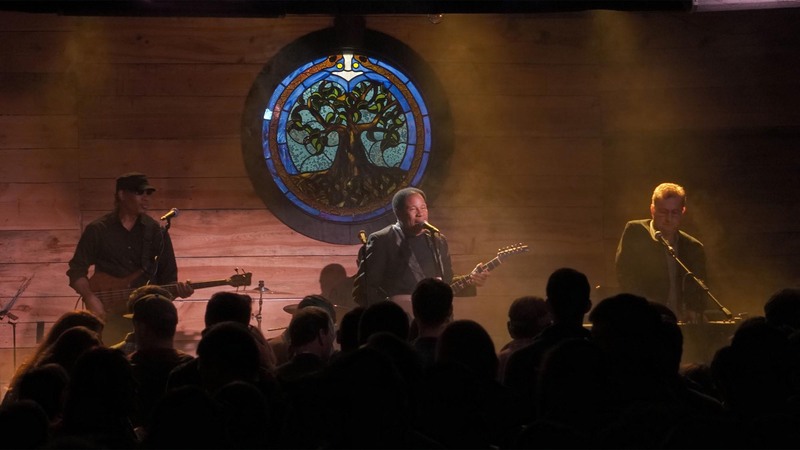 And just across the street you’ll find a renovated train depot turned live music venue. As a whole, this area is referred to as the Distillery District. This funky, unique area is full of restaurants and bars, a brewery and, you guessed it, a few distilleries. It’s a local hot-spot and the perfect place to go on any occasion. Whether you want to eat pizza by the slice, drink a microbrew or play pinball, the Distillery District has just what you’re looking for and more. 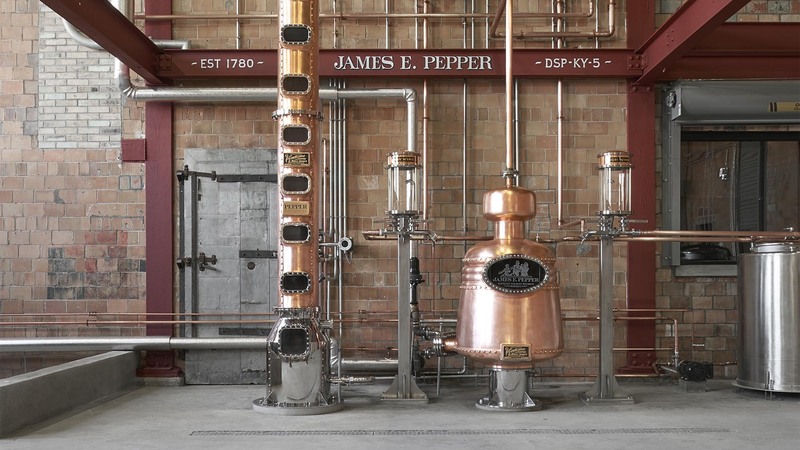 This distilling site was home to the historic James E. Pepper Distillery, which began making bourbon in 1879. However, in 1958 the site was abandoned completely, untouched for nearly fifty years. But in 2008 local entrepreneurs teamed up to bring this area back to its former glory and they did not disappoint. Many of the current establishments feature exposed brick and original layouts from the old distillery. 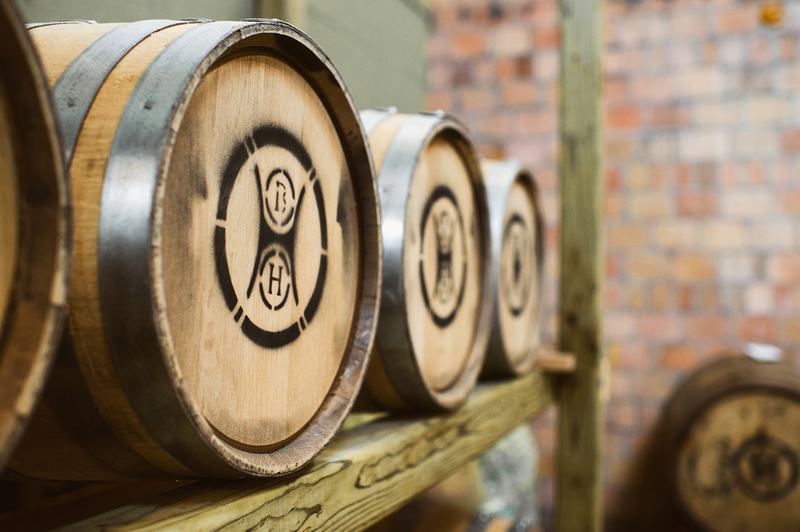 To honor the heritage of the distillery that once thrived here, the tradition of making bourbon on this site has been resurrected. 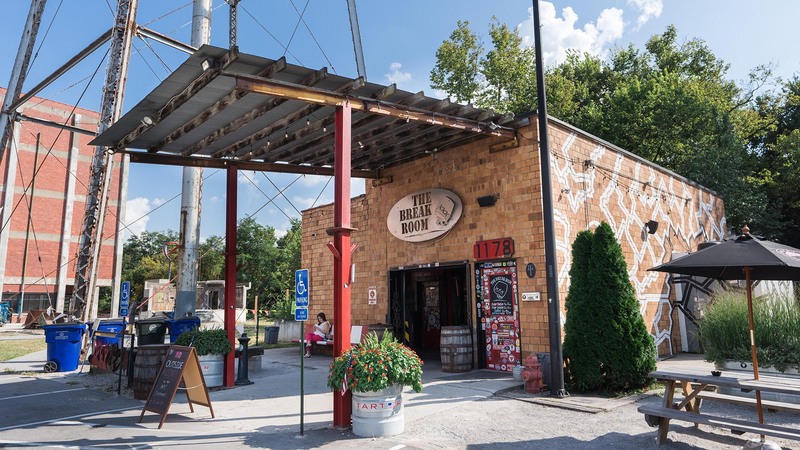 Today, you’ll find two working bourbon distilleries on the historic property, honoring the tradition of those that came before them and serving as an anchor for the up-and-coming neighborhood. The entrance to The Break Room. Barrels ready to be aged at Barrel House Distillery. 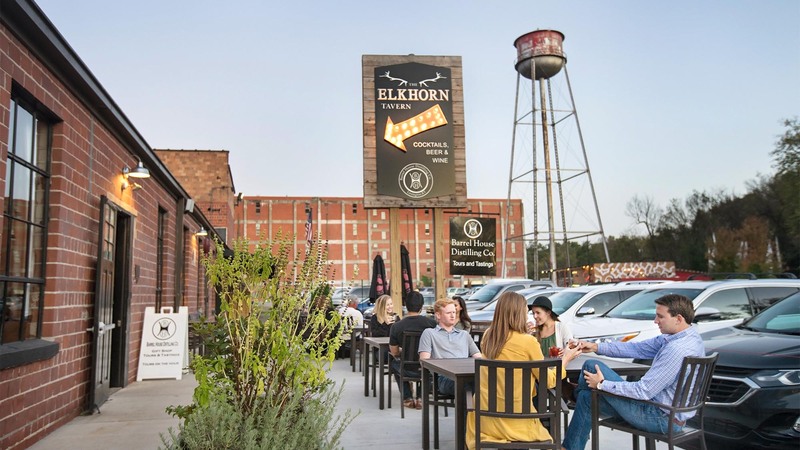 The outdoor patio at Elkhorn Tavern. It’s all smiles at Crank & Boom. 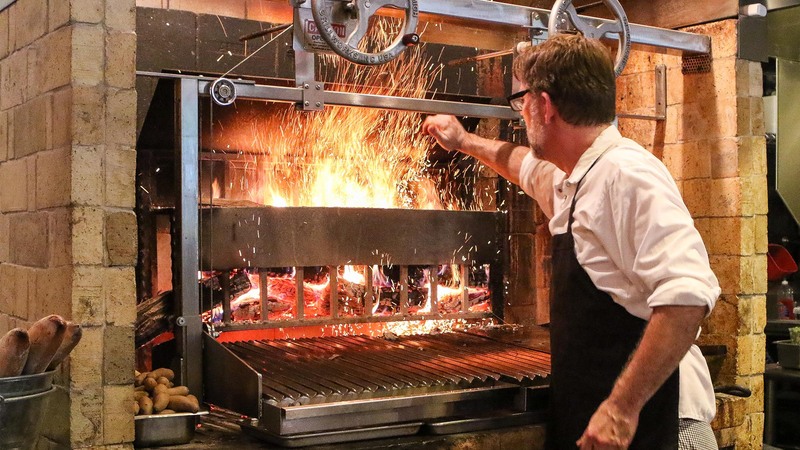 Head Chef Mark Jensen tending to the open flames at Middle Fork. 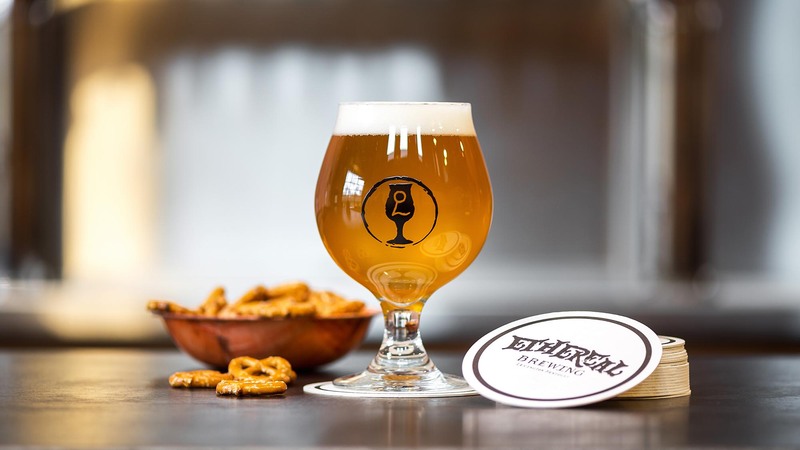 Beer and pretzels at Ethereal Brewing. 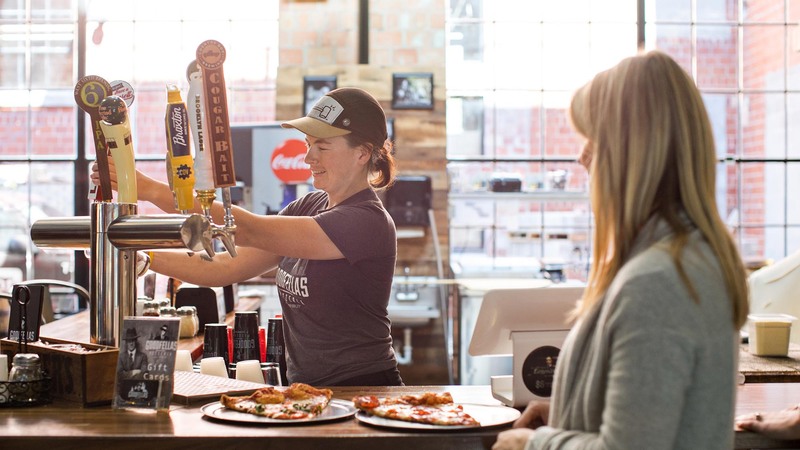 The beer bar and pay-by-the-slice pizza counter at Goodfella’s Pizzeria. Copper stills at James E. Pepper. The Tee Dee Young Band playing the blues. Feel like a kid again at the Burl Arcade. Ride sharing is encouraged. Parking space is limited…but don’t let a little crowd keep you from experiencing the Distillery District. Keep your eyes peeled for murals. There are a few scattered throughout the area. 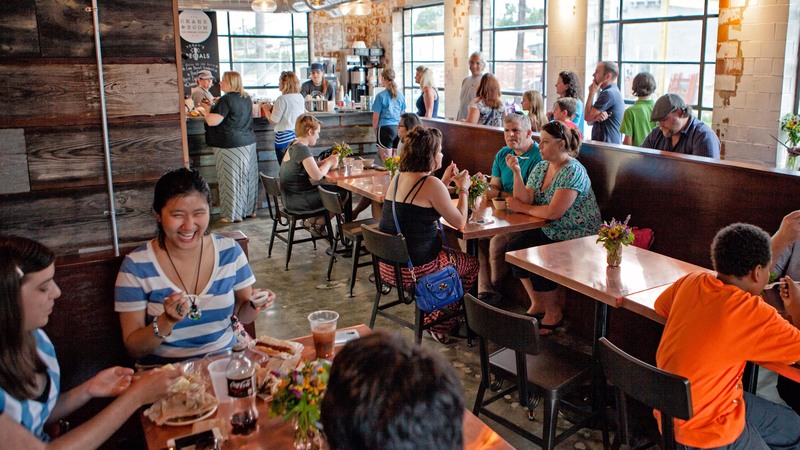 The Break Room, Ethereal Brewing and the patio at Goodfellas Pizzeria are all dog-friendly. Bring a stash of quarters with you. 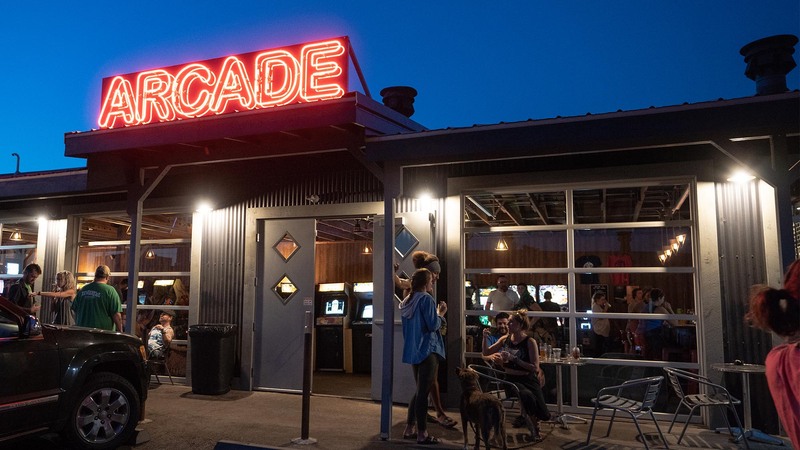 Most games at the Burl Arcade require them and while they can exchange cash for quarters, coming equipped will let you skip any line and go straight to the games. When using a GPS to get directions, make sure to enter 1170 Manchester Street as the address. It will take you straight to the parking lot.